Our Maple sugaring season began with events of precious familiarity and timelessness. We crunched through deep snows in early March to re-aquainted ourselves with some beloved old Maple trees, seeking just the right places to drill the taps. 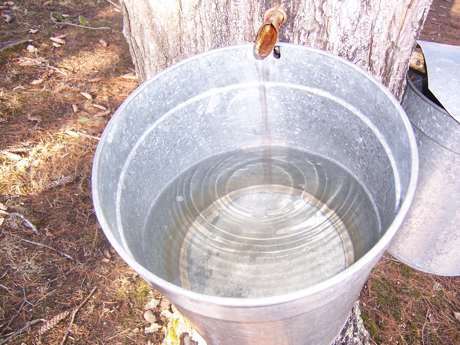 We hung our battered much loved buckets beneath the sheltering limbs then listened for the steady pings as the sap began to drip into the empty buckets. Each day since has offered the signature quality of sugaring, maple’s unique blend of mystery and majestic free will. We must wait in daily uncertainty to see if the sap will run. There is just no predicting which trees will run and when. A day that didn’t meet the scientific criteria- too cold and too windy- delivered us overflowing buckets. Yesterday when conditions were technically perfect, the buckets were empty on all but a few trees. Maple’s superior wisdom about its own eternal flow drives the show. Whenever we do collect and no matter the volume, we carefully lift out every last lightning bug from the faintly sweet sap before pouring our buckets into our collecting tank. Those lightening bugs promise magic summer nights, and each one feels important to rescue. Once the sap is gathered, it’s my primary responsibility to keep the home fires burning. I stoke the outdoor evaporator. I try to maintain the level of the sap in the pans so that the boil keeps going and the level never gets low enough for the pans to burn out. At night when the fire burns best, the stars keep me company as I load the firebox and refill the sap pan. I feel lucky to be doing tasks so elemental, so satisfying and yet so magical in their alchemy. It’s a lot like so many things in spring. Including pruning which is another outdoor focus right now. The last few weeks as I worked to prune the apple, plum and pear trees in our small orchard, a little bit of me kept looking over at Ben’s fruit trees next door. 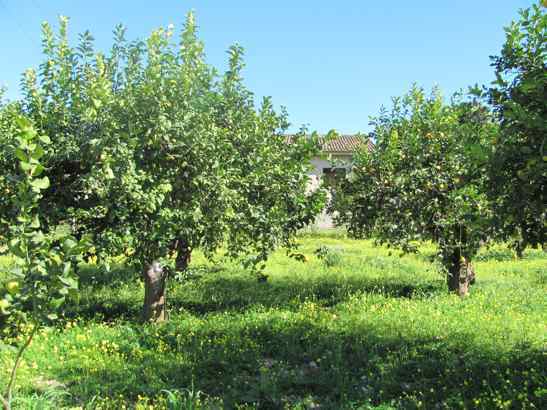 The fact is, Ben bought not only a cosy cottage, a woodlot and a fifteen acre field but a beautiful old but neglected orchard filled with the kind of overgrown trees in which a few judicious branch removals make an enormous difference and really open up the trees in a dramatic way. I made myself finish pruning our trees before asking Ben if I could work on his trees. As he is busy manhandling the out of control hedgerow between the two properties, he gave me free rein to start in on his trees. This pruning has been such fun. I have cut out some mammoth branches crossing other branches or messing with the architecture of the whole tree. With some cuts, there is an immediate and dramatic change in the way the tree looks and feels. My one frustration has been the damage done by our recent ice storm. A number of trees in the hedgerow next to Ben’s orchard broke and fell right on top of three of his apple trees. I don’t really trust my chainsaw skills at any height let alone when bobbing from a ladder twenty feet off the ground, so I need to wait until some Sheehan man has the time and energy to cut off those broken trees. My limitations irritate me, and I don’t like looking at these apple trees smothered in dead limbs either. But then I think of Japan and the patience being asked of so many there. When I was about eight, a master gardener from Kyoto visited my parents and gave me my first and best example of how to prune a tree. I hold my memory of his work and the crab apple tree he pruned in my mind’s eye whenever I prune. This year I think of all the gardeners in Japan who won’t have the opportunity or time to prune. I think of all the people who relish the season of Ume and Cherry blossoms yet won’t get to savor these Flowers. I think of those who look at whole cities gone not just a couple trees crushed by an ice storm. It rapidly puts things in perspective for me and makes all the small, ordinary tasks that I get to do in the gardens and in my life feel so infinitely precious. And the Angels keep telling me that it is in these small things we do, loving the earth right at our feet and loving the people in our midst, that we do the most for the people in Japan. As we are all one, in serving the part of the one where we live with as much love as we can muster, we help everyone and all things, including Japan. Because the work of our small part of the whole involves Flowers and Flower Essences, part of our daily life is sending the love and healing wisdom of the Flowers off to Japan, a place and people that love Flowers so much. Our Special Mix for Japan continues to go off in many packages. I would like to take a moment to thank some of the people helping to get the Flower Essences distributed in Japan. Earth Angel, Tomoyo Rezvani has been sending the Essences to folks all over her country. Nora Karr, Nao Gonno, and Masaki Schuette and her family have all taken up the charge to get this mix to people as well. Among other news, we have heard of deliveries to babies and worried mothers, students in Tokyo, as well as people in Kobe who lived through their own quake in ’95 and find themselves particularly stressed by the aftershocks. Masaki’s family in Akita prefecture have given Essences to people traveling to Sendai and so the Essences are going into particularly hard hit areas. Many of you are working with the Essence mix at home in America, and the Angels have said to me again and again that this is a big help to Japan because it helps the people of Japan have an oasis of calm vibration to tune into. Just as we feel the rumblings that have torn their world apart, they feel it when we hold a space of calm for them. I would like to thank another Earth Angel, Audrey Cowgill, who has made this project possible. I would also like to thank Deborah Sams, Laurie Fuda, Debi Melzer, Tish Heath and Barbara Herndon for being our postage fairy godmothers. So much love and grateful thanks to you all! We have assembled a special Flower Essence mix for Japan. Several hundred bottles are already on their way to Japan. We have been sending this mix off at no cost. At some point, we may need help with postage. We can send up to 12 half ounce bottles of the mix in one global priority envelope for the cost of $13.95. Japan does not allow for the import of Flower Essences in an alcohol base so we are very glad our Flower Essences are preserved with our Red Shiso preservative, not brandy. We came to our wonderful Red Shiso preservative because of the use of Red Shiso as a preservative by people in Japan, so it is a very full circle moment for us. We feel a great kinship with Japan not just because it is the home of our beloved Red Shiso but because we have much loved GHF friends in Japan. We also have several beloved Flower Essences made in Japan by Tomoyo Rezvani and Vicki Ramos-Glew, two of which the Angels included in this special mix. Since we are all one and all in this together, this mix is available for all. For orders not going to Japan, we are asking the same as for any of our combination Flower Essences- $9 for a half ounce bottle and $30 for a 2 ounce bottle plus s/h. The Angels continue to suggest our combination mix Golden Armor for anyone with specific concerns about radiation. Please email us with any questions about any of this. Our big excitement today is the launch of our Sicily and Santorini Flower Essence collection. 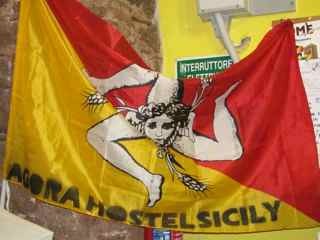 And this, the flag of Sicily, is the one we wave in celebration! 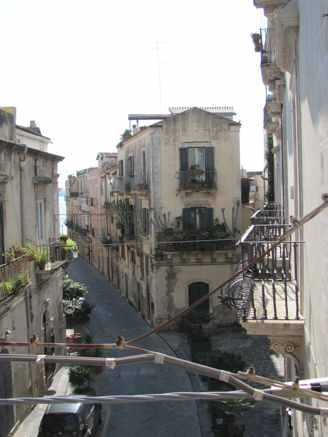 During the winter and spring of 2010, Emily Sheehan lived in Ortigia, the oldest part of the city of Siracusa, Sicily. Travels in the Mediterranean took her all over the island of Sicily, to Tunisia and also to the Greek island of Santorini. Emily has always had a deep connection to the Flowers. Flowers were her first language, and the word “Flower” was literally her first word. As a small child she would open her mouth like a baby bird and say, “Flowers” when she wanted Flower Essences. By the time she was four she was asking me to make certain Flower Essences including the marvelous Baby Blue Eyes which has served many generations of children with its wisdom. Since then she has played a part in many, many Green Hope Farm Flower gardens and bottled and packed thousands of our Flower Essences to ship off to all of you. With this history, it came as no surprise that a now grown up Emily would return from her travels with a wonderful collection of Flower Essences reflecting the heart and soul of this ancient part of the world. This is Emily’s first collection of Flower Essences for Green Hope Farm and throughout her experience of bringing it forward to share with all of you, it was made clear to me again and again that the Angels of Sicily and Santorini had entrusted into Emily’s hands alone this collection and that she was their guardian and spokesperson. 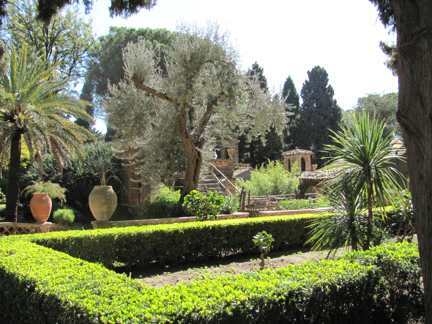 When Emily chose to go live in Sicily, none of our family had been to Italy or Greece. 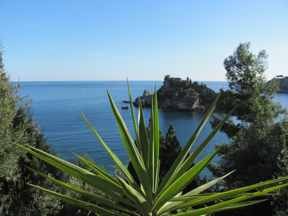 I’d read much about the Flowers and gardens of Sicily in particular and had felt a deep kinship with the gardens in Taormina. None the less, the Angels kept me out of the project, explaining that it was Emily who had the most profound connection to Sicily, and it was Emily that was meant to bring back this collection of Flower Essences to share with all of you. After Emily’s return to the farm, when I tried to hurry this collection into the world, the Angels reminded me again that I was not in charge of this collection and that Emily was both the voice of this collection as well as the person in charge of when it was to be released. Emily was very firm and clear about everything to do with this collection and stayed true to her inner sense of what was being asked of her. My experience of watching this collection unfold has been a revelation of Sicily’s wisdom in particular. Sicily is a place that has been invaded so many times that to read her history is to have one’s head set spinning, and yet, Sicily prevails and is her truest self in a most profound way. Not only that, but she has learned to be her authentic self no matter what happens to her. Benign as well as violent external events leave her core identity undiminished. And despite forces that would conceal or twist her wisdom, she knows how to express herself with great vitality and skill. Here with this collection of Flower Essences she chose exactly which Flowers she wanted made and exactly how and when they would be presented to the world and she did this by choosing Emily, knowing Emily would listen to her wisdom with great care and integrity. Throughout the past year, much about this collection remained a mystery to me, especially the timing of our launch. If you have read our home page this past year you saw how frequently I got ahead of both Emily and Sicily about when I expected to share these Flower Essences. Yet now, as we unveil this collection, it feels in such divine order to launch this collection right now as per Sicily’s guidance. As the winds of freedom sweep across this region of the world, this collection feels deeply supportive of this process of self definition and alignment with our truest eternal selves. It has been an honor to meet Sicily through her Flowers and through Emily’s eyes and heart. It has been a honor to bear witness to this collection as Emily and the Angels and Elementals of these Flowers, Sicily and Santorini worked together to create and now launch this collection of simply marvelous Flower Essences. May this collection bring you as much joy and healing as it has brought me. One last story before the four posts about this collection. When I was describing this collection to one of you last week, you told me a story which somehow summed up for me the depths and unexpected power and beauty of these Flower Essences and of Sicily herself. You described a scene in which someone had gone to the home of a Sicilian grandmother to watch her cook a meal to share at her table. Upon arriving at the grandmother’s home, the way into the kitchen was blocked by one of the men of the household who stood at the threshold of the kitchen filling the airwaves with talk talk talk while in the background, the grandmother of the family cooked in the shadows. When the meal was served, it was the most delicious, colorful and flavor packed meal this visitor had ever had, a meal unlike any other and miraculously prepared by this tiny grandmother in an ancient kitchen. This story echoes all I have learned of Sicily. No matter what appears to be happening on the surface at the front of the house, the beauty, wisdom, love and heart of Sicily lives and speaks with complete abandon, joy and truth in unexpected and imperishable ways. With this collection of Flower Essences, she speaks through her Flowers. 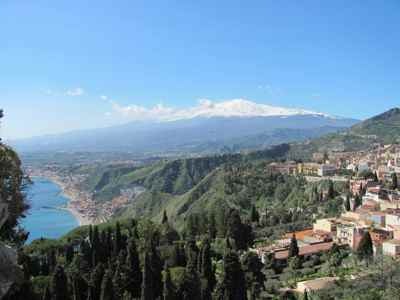 The island of Sicily has a strong sense of self, born in part from experiences of violation, subjugation and attack. Through trial and tribulation, Sicily came into an ability to move through tumultuous experiences while anchored in a clear experience of her eternal identity. 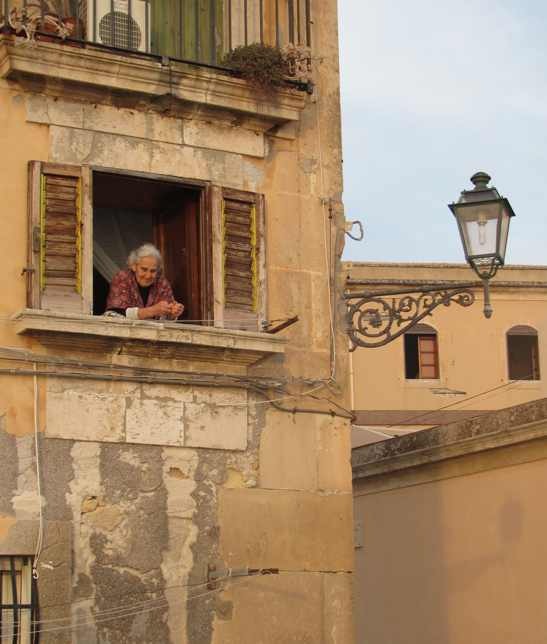 She learned to be Sicily no matter what transitory experiences swirled around her. This wisdom is one of the essential gifts she imparts to us via her Flower Essences. 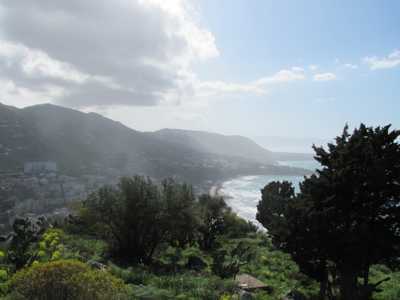 Islands frequently have a very strong sense of self-identity and self-awareness, and this is particularly true of Sicily. Her Flower Essences help us take forward a similar deeper understanding of self and soul purpose no matter what events fill our daily life. These Essences help us harvest the wisdom from painful experiences while also helping us understand ourselves to be undiminished by these events. These Flower Essences help us anchor in our eternal identity as a soul. 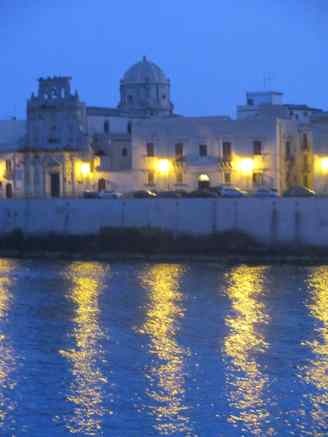 Emily Sheehan lived in Ortigia, the oldest part of Siracusa, Sicily during the winter and spring of 2010. She created this collection of Flower Essences in the same order as her travels in the Mediterranean. 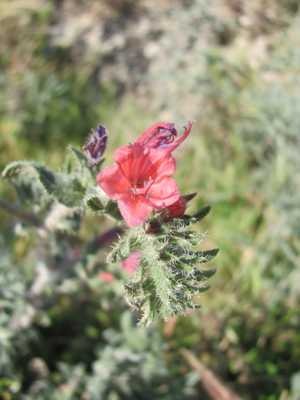 Initially, Emily perceived her time in Sicily and her geographical travels in the Mediterranean to be random, yet as she learned about each of the Flower Essences she had been called to make along the way, she discovered this collection reflected and offered a purposeful journey of self definition in the face of challenges and self expression in alignment with a deepening experience of self. Emily made these Flower Essences and took on the responsibility of bringing them forward as a collection. Working with Jessica Miller, she designed a logo for the collection based on the landscape of Cefalu and La Rocca, Sicily. All photographs posted on the website with the collection were taken by her during her time in Sicily. 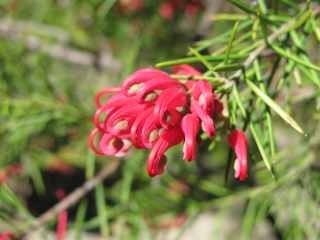 In the following document, Emily describes each Flower Essence as well as the places where they were made. The writing process was a collaborative effort of give and take with the Angels, Emily Sheehan and Molly Sheehan. This collection of Flower Essences and these descriptions were over a year in the making as we worked to find the authentic voice of each Flower and its Essence. Ultimately, Emily and Molly felt they had been given an experience of what it was to be Sicily, holding fast to her truth and authentic self. 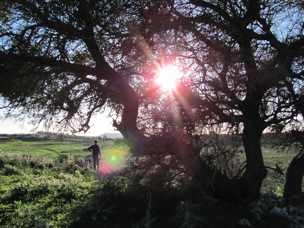 Early on in my time in Sicily, I took a walk with a friend in search of green space. About an hour walk outside of the city of Siracusa, I discovered a lemon grove in a field of Wildflowers. Here in the fresh soft light of late afternoon and early evening, I found myself surrounded by Flowers and enveloped in love and light. The first steps in any journey of self-discovery are self-care, surrounding ourselves in love, light and comfort as well as asking for what we need. These two Fumitory Flower Essences support us to take care of our most basic needs and essential selves by seeking fundamental and simple ways to comfort and wrap ourselves in loving light. 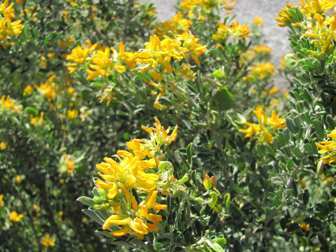 On that day in the lemon grove, it was reading and napping in the shade of the lemon trees, lying in a bed of Wildflowers. At that moment when my body and soul were craving nature to hold me and help me let go, breathe, and just be, I found these two Flowers calling to offer their support. 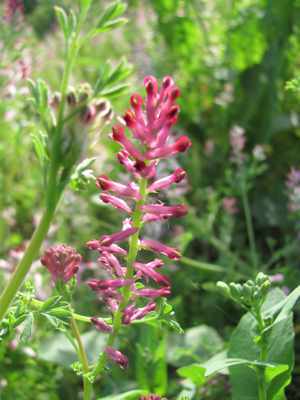 The blossoms of Fumitory Bella are a strong pink tipped in a deep red. This Essence supports us to fill ourselves with light and life force energy and in doing so, create and sustain an energy reserve so that we have the energy to do the trying, tiring work of self-articulation. In addition, Fumitory Bella helps us to envelope ourselves in love and light. 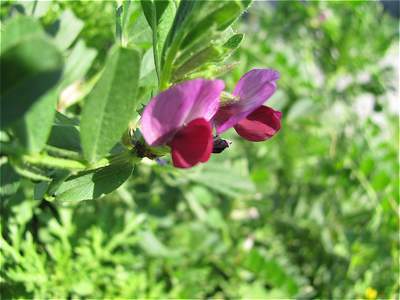 This Flower Essence works well with Ramping Fumitory because it is only with our energy system contained by appropriate boundaries that we are free to restore ourselves with the vibration of love and light. I AM the restoration of my self. 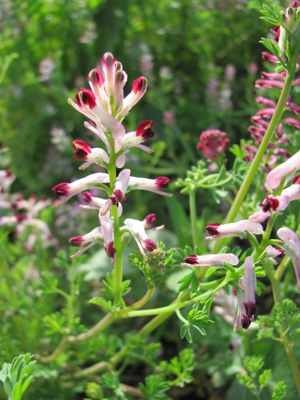 The blossoms of Ramping Fumitory are white with intensely dark red tips. 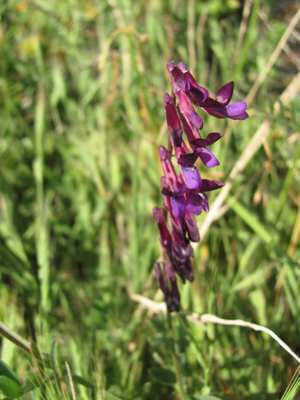 Each petal resembles an arm extended outwards. This Flower Essence helps us find the delicate balance of self-protection without defensiveness. Ramping Fumitory supports us in creating, maintaining and enforcing self-supporting boundaries that keep us and our energy fields clear. This Essence allows us to radiate our own energy and vibration at a higher level by keeping us tuned to our truest selves while also keeping other influences and energies at bay and out of our energy fields. I AM the balance of self-protection without defensiveness. In the beginning stages of movement towards more alignment with divine will and the divine plan for each of us, this Flower Essence will encourage acceptance and openness even as things appear to fall apart. The beginning stages of this work can leave us in a vulnerable state. As the path we must take begins to unfurl in front of us, things fall away. Often this is a sorrowful place of uncertainty. This Flower Essence supports us to trust the path as it presents itself to us, trust that even when there seems to be only loss, there is love and light and divine order which will become more apparent as we move forward. In the uncomfortable early moments of anger, lack of understanding and denial, this Essence supports us to let go of outcomes. It supports us to keep untangling and keep moving towards acceptance of what is and isnâ€™t meant to be. I AM open to the path that is being laid before me and I understand that it is in service of my life to move forward this way. Found at the base of Taormina near the beach to Isola Bella, this Flower Essence helps us to be optimistic and positive in the face of hard circumstances and challenges. 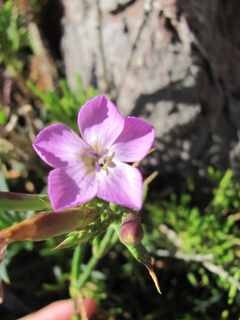 This Wildflower lives in a harsh and windy environment but maintains its sweet appearance, positive nature and high vibration. It is soft, kind and open amidst difficult conditions. This Essence supports a positive state of mind when accepting what is happening in our lives and where they are headed. No matter the winds of change, I AM optimistic and of good cheer. My time in Santorini was complicated. I felt hopeless, wandering with no purpose. I didnâ€™t feel the place was spiritually grounded and in that moment, I didnâ€™t feel I was either. I floated unhappily through my visit, unsure what I was doing, where I was going and how things were meant to work out in my life. Looking back I believe this trip was when I arrived at clarity about my circumstances, though on the surface all was confusion. During my time in Santorini, I was beginning to take hold of what I really needed to do to bring my life into balance, but I wasnâ€™t quite ready to completely look at what being asked of me. 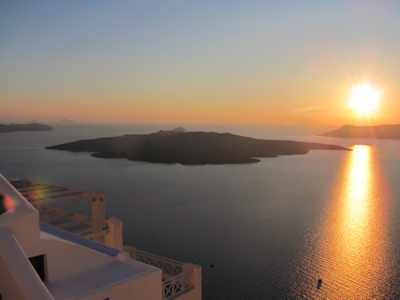 The Essences from Santorini were Flowers that called to me in this period of my spiritual journey. 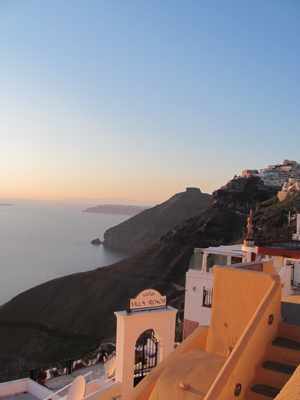 The volcano that comprises Santorini erupted almost four thousand years ago and completely altered the landscape of the island through a massive explosion. 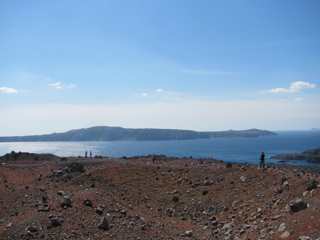 The mass of the Island now arcs around a caldera filled with the Mediterranean. Adrift in its center of the caldera stands a barren rock island, the mouth of the volcano. 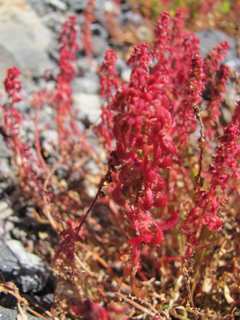 On this windblown, exposed, and inhospitable rocky island this Flower has spread like wild-fire. As a Flower Essence it serves to strengthen, support and encourage our own inner resolve. The wisdom of this Essence is about adaptation to new circumstances with strength and courage. It supports our ability to thrive after things erupt and fall apart in our lives. This Flower is fearless and supports us in digging in for the real fight, the real challenges with a fire energy that is not destructive but sustaining, creative and adaptive. I AM the manifestation of my new life with creativity, strength, fearlessness and adaptability. This Flower in both its physicality and spirituality is composed of cups of light. This Essence demonstrates how to hold and radiate light from internal sources when external forces have made our lives hard and heavy work or we feel bogged down spiritually and emotionally. This Flower reveals how to hold and radiate the abundance of light within us. According to plant historians, this Sweet Pea is considered the mother of all Grandiflora Sweet Peas. It was first collected for domestic cultivation and hybridization in 1699, and there are now 250 varieties of fragrant and beautiful old-fashioned Sweet Peas that come from this plant. And here it was, having made a bit of a Mediterranean leap from Sicily to Santorini yet still carrying its Sicilian wisdom. This Flower Essence creates a direct and forthright space for us to see and experience the realities of where we are in our journey and asks us to face these truths. It brings our reality into focus and encourages unimportant surface ideas to fall away. It both guards and reveals the divine plan for us, encouraging us to dive in and align our will to the plan. It offers a backdrop to these essential truths but more importantly supports us to come forward and embrace the work head on. In calling us to this work it strengthens us for the next step in the journey: moving purposefully on from this moment of truth towards greater alignment with divine will. I AM open to the truth of my situation and ready to begin a process of harmonious change. This Flower Essence is a soft place to fall in times of great upheaval, transition, and spiritual change. While the leaves and stem are rough and coarse, covered in delicate spikes, the blossoms themselves are soft and delicate with colors that are warm and supportive. This Essence is a safe embrace. It will hold us and take care of us when everything else feels turned upside down. 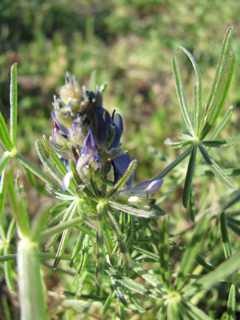 Fodder Vetch has a true sense of self. Its elegant blossoms rise up in a graceful column, each looking forward, unafraid of movement, change or what lies ahead. This Essence supports us to let go of fear as we continue forward. It helps us find and recognize our true course and then supports us in moving forward in confident alignment. Even in a strong wind, the blossoms donâ€™t swivel or change direction. They stand strong and true in their course and help us do so as well. I AM sure of my way forward. On my last afternoon in Santorini, I walked out to a series of rolling grassy hills near where I was staying. I felt drawn to one particular area of a field behind a large stonewall. For reasons I couldnâ€™t explain, I could feel that on the other side of the wall there was blue. Iâ€™d never had an experience like this before. I couldnâ€™t see blue. None of the Flowers filling the fields were blue, but I knew blue was there. After I climbed over the wall, I found this lovely lone blue Flower whose energy and presence had called to me. This wise and ancient Flower had an immense energy and tremendously clear sense of itself and its strengths. It supports us to know these truths about ourselves. This Flower with its eternal blue core helps us let go of surface ideas we hold about ourselves to uncover deeper truths. It helps us to understand that this release and movement forward will alter the surface of our lives but not change our souls. Instead, this change and growth will only allow us to connect and embrace our essential selves more easily. I AM in the flow of my essential self and purpose.